Lode sources of minerals are normally found in veins, dikes, and pods. Searching for these geological features are time consuming if you are hiking, I have found that you can determine these different geological formations by looking at Google Earth. 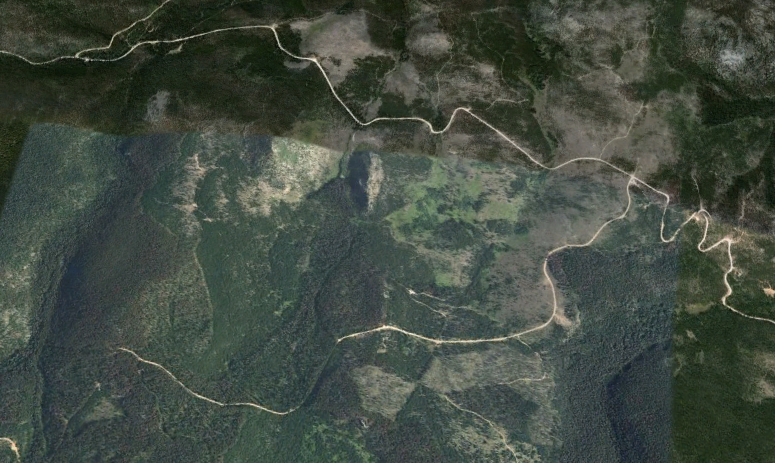 The above photo is of an area I have spent a lot of time hiking over so I'm using this area as an example of what to look for when using google earth. 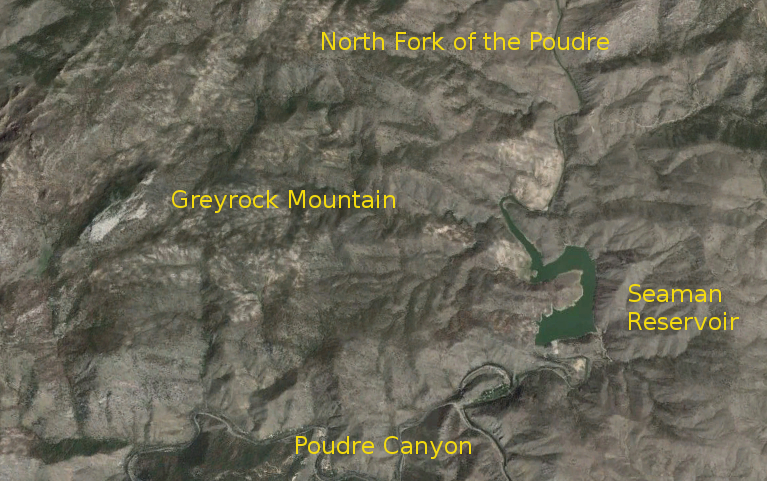 This photo shows several geological formation, the outcropping of the Log Cabin Batholith - Greyrock mountain the light colored area to the left of the label. You can trace this formation towards the northeast - on the map below this is outlined with green. The area outlined with red is another outcrop of the Log Cabin Batholith. The area outlined with yellow is the outcrop of interest in this example, mainly because I know it contains Copper, Gold, Garnets, Ruby, and Mica. This is a pegmatite dike or vein. A pegmatite is simply a very coarse grained igneous rock that usually occurs in dikes (seams of rock that cut across the main country rock) or lenses (pods of coarse-grained igneous rock included in other rocks). Pegmatites can be from a few inches to hundreds of feet thick. What makes many people interested in pegmatites is the fact that many exotic and important minerals, including many gemstones, are found in them. After noticing the outcrop I zoom in on the area for a closer look. Further zooming in on the area I found this unusual formation, that I have outlined with yellow, except for the fact that I have already been here, I would plan on a hike to investigate this area. This unusual spot is the site of the Brinkhoff Mica mine. Years ago a dozer was used to create these remaining trenches that was made to define a vein of Ruby Muscovite Mica. This deposit of mica is ~ 537' by 378' in size and extends at least 25' deep. A known deposit containing 5,074,650 cubic feet of 56% mica. 443,321 tons of high grade mica, many of the sheets are over 4 foot square. Several bright red rubies were found, sadly these were sold as garnets. I have one of these rubies that I tested recently, it has the correct specific gravity and hardness to be a ruby. This method can be used to "google prospect" any area of the world. When i was ranching I was accused of being a "google cowboy" , so now I am proudly a google prospector. Another example of what to look for when "google prospecting" is the predominant north/south rock outcropping shown in the photo on the right. 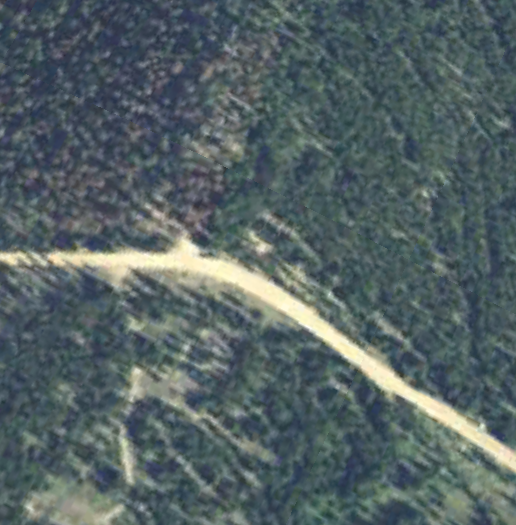 The large grey rock near the center of the photo, you can follow the dike towards the south, towards the bottom of the photo, across the road in the lower part of the photo, Killpecker Ridge Road. The lighter colored spot on the far right center is the Pennoyer Amethyst Mine. This pegmatite contains very nice Quartz Crystals, Chalcedony and many varieties of Microline Feldspar. I collect rough from this location for some of my Feldspar Cabochons. 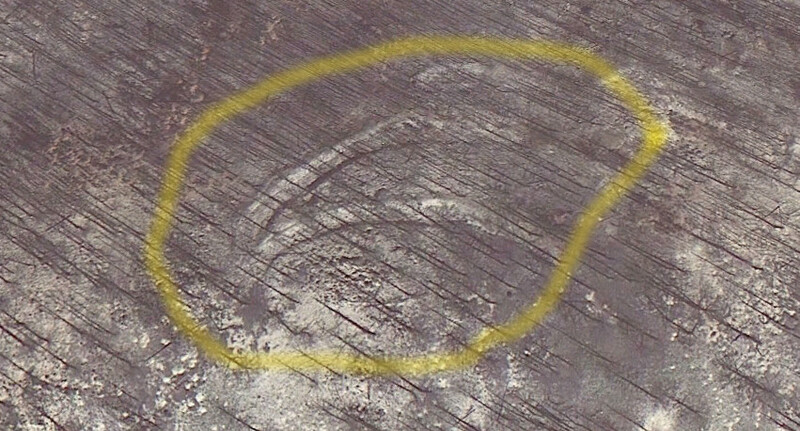 When "google prospecting" look for unusual areas like the light brown spot near the center of the picture on the left. Pennoyer Amethyst Mine. 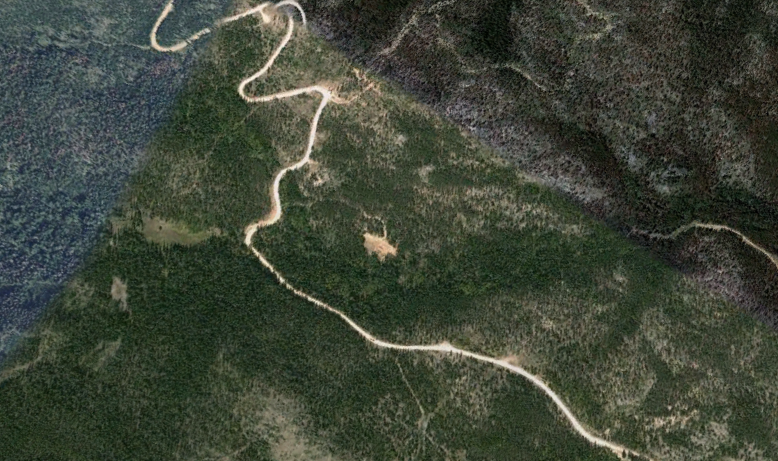 For some reason the United States Forest Service spent thousands of dollars to "reclaim" this site, no digging allowed. My personal opinion is that our governmental agencies should promote mining, logging, ranching and farming instead of setting up innumerable obstacles to these industries. Towards the bottom of the photo above on the right hand side of the skid trail is a large outcropping of quartz crystals. Along the contact zone of this deposit I find a green colored variety of Microline Feldspar. 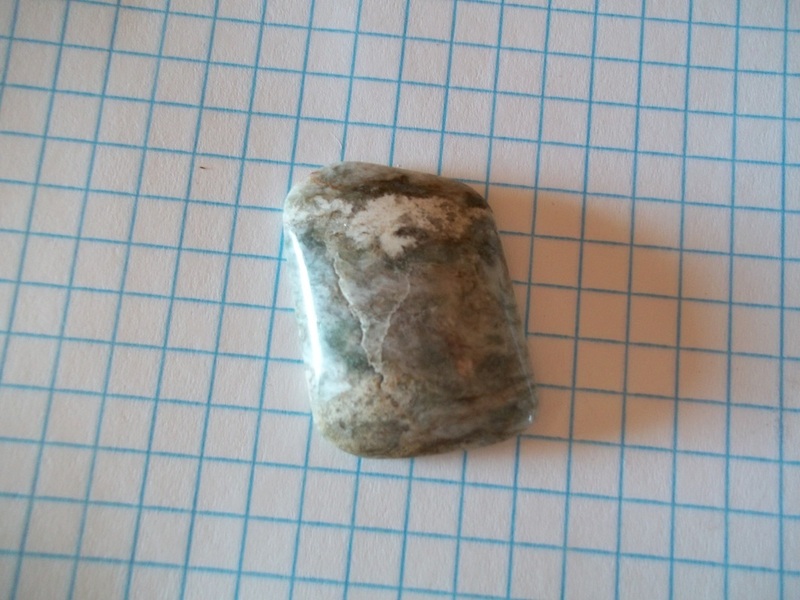 Some that is indistinguishable from Amazonite I have found near Lake George. 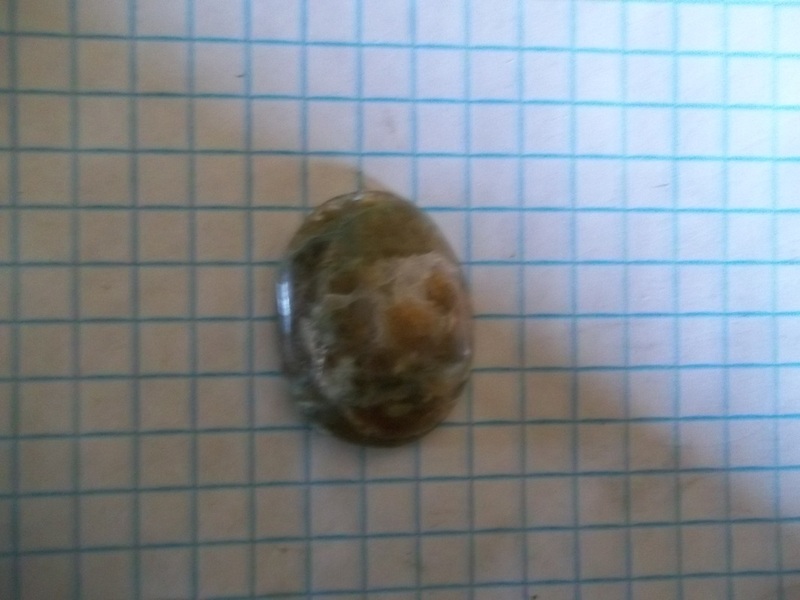 I have not found any Amazonite crystals yet, but I have not given up..